LAS VEGAS, NV, January 5, 2011 – Samsung Electronics America Inc., a subsidiary of Samsung Electronics Corporation, today announced the 9 Series, a durable, ultra premium, lightweight laptop computer at the International Consumer Electronics Show in Las Vegas. The 13.3-inch 9 Series offers mobile professionals and power users a sophisticated laptop equally suited for work and entertainment. Thanks to a stunning design, Samsung’s hallmark SuperBright Plus display and Intel performance processing power, the notebook ushers in a new era in mobile computing. The 9 Series will be available on display at Central Hall booth #12006, January 6-9, 2011. The 9 Series’ naturally flowing design takes cues from the sleek styling and sophisticated beauty of a premium sports car. The silhouette evokes thoughts of speed and performance with an ultra-thin 0.64 inch profile. Additionally, the naturally flowing arch maximizes the laptop’s ergonomic appeal, making it easier to use and a natural fit for the human grip. Additionally, the wide 160-degree viewing angle allows users to appreciate breathtaking screen images from a variety of vantages points, making the 9 Series easy to use whether in a user’s lap, on a desk or shared in a communal space. The laptop’s ambient light sensor adjusts the display brightness based on surrounding lighting conditions and reduces user eye strain. This innovative feature is complemented by an automatically adjusting backlit keyboard that adapts to darker light conditions with greater illumination. Ensuring users are ready anytime anywhere, the 9 Series makes use of Samsung’s new power-efficient lithium polymer batteries, and achieves up to 6.5 hours of battery life on average. Lithium polymer batteries extend the life of the product with double the lifespan for up to three years or 1,000 charging cycles. Additionally, various charging settings, like a “Battery Life Extender Mode” and “Express Charging Mode” empower users with options to get the most from their experience. Lastly, focusing on convenience and connectivity, the new 9 Series boasts USB 3.0, Bluetooth 3.0, built-in WiMax and utilizes the latest in Wi-Fi and USB Sleep & Charge technologies. 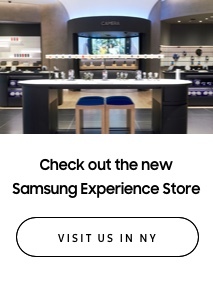 Based in Ridgefield Park, N.J., Samsung’s Enterprise Business Division (EBD) is a division of Samsung Electronics America (SEA), a U.S. subsidiary of Samsung Electronics Company, Ltd. (SEC), the world’s largest technology company based on revenue. As one of the fastest growing IT companies in the world, Samsung EBD is committed to serving the needs of consumers ranging from the home user to the Fortune 500 elite and supporting the valued channel partners who serve our customers. Samsung EBD offers a complete line of award-winning color and mono-laser printing solutions, desktop monitors, laptop computers, digital signage solutions and projectors. 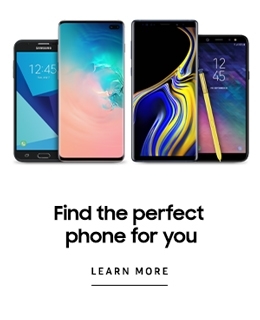 For more information, please visit www.samsung.com or call 1-800-SAMSUNG.